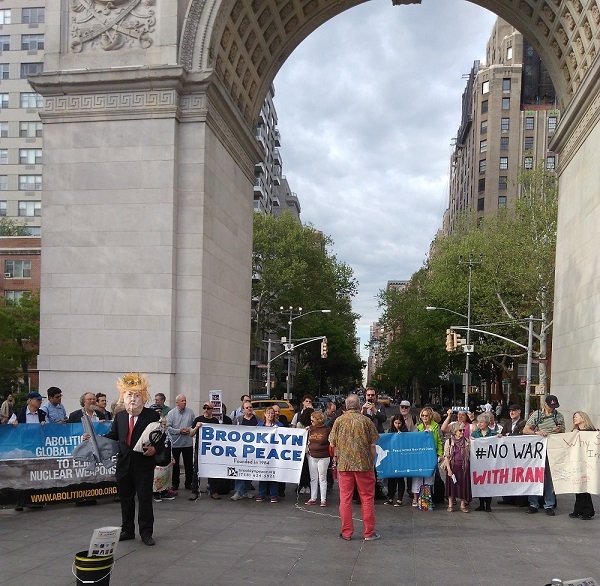 Nuclear abolition campaigners from around the world met in New York on May 11 to discuss strategies and to build cooperation amongst campaigns. There were lively and productive discussions on nuclear risk-reduction, war prevention, nuclear weapons divestment, nuclear-weapon-free zones, youth actions, United Nations initiatives (including the Ban Treaty, UN High-Level Conference on Nuclear Disarmament and the new initiative of the UN Secretary-General), engaging legislators and outreach to broader human rights, environment and faith-based communities. 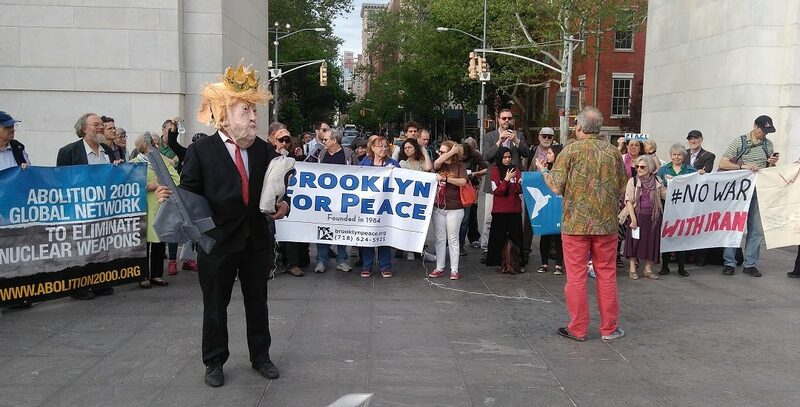 The campaign meeting was followed by an event at Washington Square Park to protest against the U.S. withdrawal from the JCPOA (Iran nuclear deal). The meeting also included an introductory round with everyone expressing a reflection on the state of the world. Anabel Dwyer penned a poem using words expressed in this reflection round (see below). while we’re finding ourselves unhinged in a precarious, schizophrenic, fearful, vicious time. in the culture of war. yoghurt of peace, love, respect and their entry into force. Miigwetch (“Thank you” in the Anishinaabe language of the upper Great Lakes).